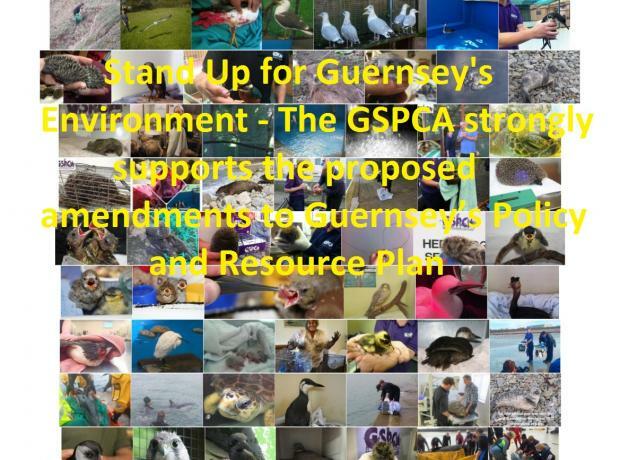 Stand Up for Guernsey's Environment - The GSPCA strongly supports the proposed amendments to Guernsey’s Policy and Resource Plan to help our environment. The GSPCA helps 1000s of wild animals every year in our island and the environment provides enormous benefits to society over and above its intrinsic worth. At the GSPCA conservation and the natural world is at the heart of much of our work we carry out 24/7.